Holly is a beautiful dog with intense focus, a great desire to please and an easy going temperament. She has a great combination of beauty and personality. 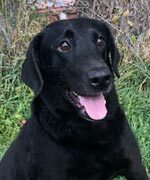 Sire: NAFC FC AFC Cody Cut a Lean Grade 2011 NAFC, 2008 High Point Open Dog, 15 AA Wins, Over 100 AA Points, Qualified for 11 National son of FC AFC Cody Blue (252.5 All Age Point, 1998 High Point Open Dog, 1994 & 1998 National Finalist) and Ms. 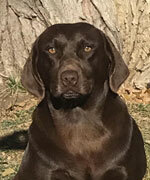 Lean Mac’ce QAA (Sister to FC Fargo II). 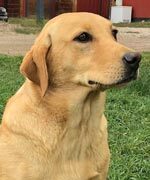 Dam: NMH 3xGMH See The Difference of Memphre WCX (Daughter of FC CFC CFAC Seaside One To Many x CFC CAFC Moira River Maddy of FC AFC Watermark’s the Boss. Tess is a curious dog that is very playful and driven. 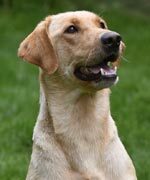 From her talent and excellent lineage, her puppies will produce dogs that are athletic, smart and easy to train. Juice is a unique dog who does everything with intensity and focus. 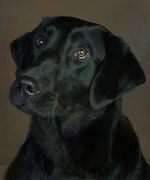 As a companion she is extremely affectionate, gentle and loyal. 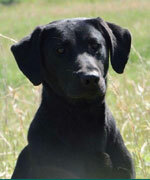 Juice is a great upland dog who hunts hard and extremely compliant. 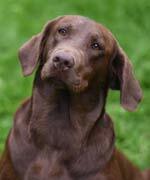 Reece is a classically beautiful lab, with a shiny coat and square head. She is kind, sensitive and gentle in the house. In training and the field she is energetic, a fast learner, and very athletic. Barley is a fox red extremely athletic and has a fun personality. 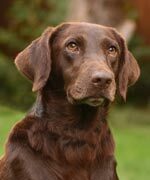 She has tremendous retrieving desire, a great nose and crazy for water work. Sire: FC AFC Dare to Dream (18 Derby Points, 96.5 All Age Points, Qualified 5 Master Nationals and 3 Open Wins) of FC AFC Wilderness Harley to Go and FC AFC Fishtrap Aggie. Phoenix is a well bred, pretty, well mannered dog with great confirmation. 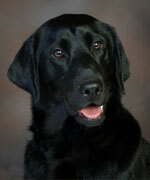 She enjoys retrieving and is an affectionate companion. Sire: HRCH UH Trinity's Riptide Ryder MH Son of SHR Trinity’s Sassy Senorita of Riverwood JH by FC AFC High Tech CEO x daughter of NFC AFC Storm's Riptide Star. Blaze is a beautiful dog with a sweet personality and kind disposition. She is very athletic and retrieves well. 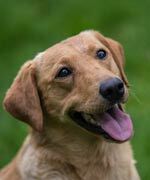 Gracie is a dog with a phenomenal pedigree, great confirmation and has a tremendous desire to retrieve. She is a great team player, very loyal with a playful, happy personality. Bonnie is a pretty dog with great athleticism. She is a complete package of hunting skills and confirmation. Bonnie marks well, has good drive, and is extremely trainable. Gator is a very happy, friendly dog with a great sense of loyalty. She is an amazing athlete and very birdy. She learned her obedience skills quickly and was easy to training both for the field and in the house. Gator is very loving toward other people and animals. Roux is an eager, curious dog with enthusiasm to be a part of everything we do. She is playful and sweet, while still be mild mannered and well behaved. 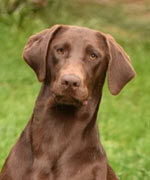 With a high caliber pedigree, Roux is a highly versatile dog able to do just about anything asked of her. 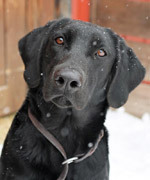 Kai is a beautiful dog with a lot of personality, athleticism and intelligence. She has a high drive to retrieve and has a lot of natural instinct. 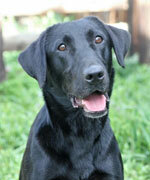 Ella is a happy, enthusiastic and affectionate dog with incredible athleticism. She is very in tune to what is happening around her and immediately responsive to commands and direction. Ella has easily fit into our family and is an excellent addition to the kennel. 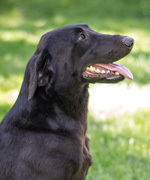 Eba is a happy and affectionate dog, who is seeking to please at all times. She is extremely athletic with great conformation. 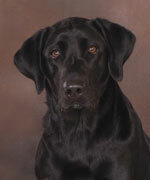 Sire: NFC AFC Abe's Ebony and Ivory son of FC AFC Webshire's Honest Abe (2003 Retriever Hall of Fame) and Zip's Magic Marking Ink QAA. Faith has a fun personality and very loyal. She is a good retriever and eager to please. 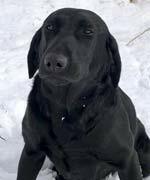 Her smaller size, combined with good looks make her the perfect combination of home and hunting companion. Ghost is an affectionate, loyal and beautiful dog and a great companion. 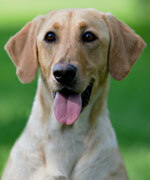 She is a focused retriever who marks very well and has a good nose. 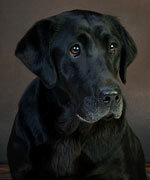 Raven is a sweet, attentive, focused and loyal dog with a superb pedigree. She is athletic, has a great nose and high drive to retrieve. 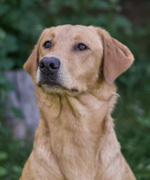 Cinnamon is a beautiful, darker yellow, who is extremely athletic and has a high drive. She loves the water and has a fun and happy personality. Spice is an athletic dog with a fun personality. With great looks and conformation, she is a very versatile dog.